The Check Engine Light strikes fear into the hearts of some Orlando drivers, and is totally ignored by just as many. Just what it means is a mystery to most people. Let's get the urgency issues out of the way first. If your check engine light is flashing, that means that something is wrong that could cause engine damage. Naturally, you need to get that taken care of right away. If your check engine light is flashing, you shouldn't drive at high speeds, tow or haul heavy loads. Take it easy all the way to your Orlando service center. If the light is glowing steadily, you should keep an eye on it for a day or two. If the light doesn't go off, schedule an appointment with your friendly and knowledgeable pros at Honest-1 Auto Care to get it checked out. 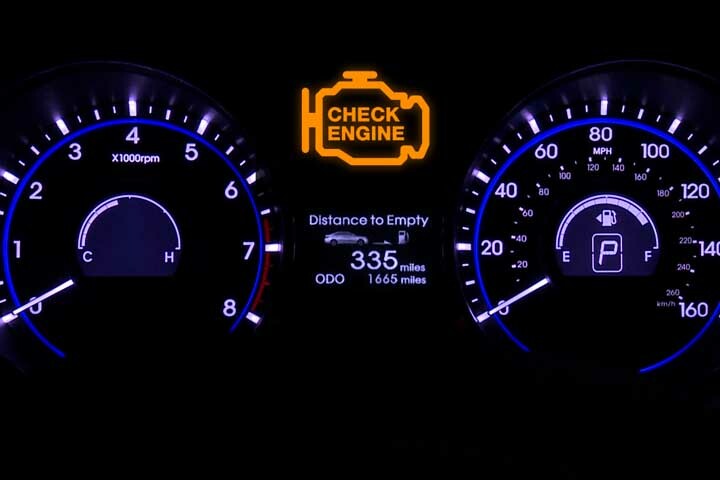 Some more information on how the Check Engine Light works may be helpful for Orlando drivers. Most of your engine functions are controlled by a computer, not surprisingly, called an engine control computer. The computer is able to adjust many engine parameters for environmental conditions, engine condition and even the way you drive. In order to make these adjustments, the computer relies on a network of sensors to provide data. The computer knows the proper operating range for each sensor. When a sensor reading is out of range the computer runs some tests and may turn on the vehicle's Check Engine Light. A simple example is a loose or missing gas cap. This may cause one of the sensors to read out of range. The computer doesn't know if it's a serious condition that caused the reading or just a loose gas cap, so it stores a trouble code and turns on the Check Engine Light. Now when you tighten up the gas cap the sensor readings will be in the correct range. The computer will keep checking on the report for a day or two. Since a bad reading didn't come up again, it turns off the Check Engine Light. The computer will also try to make adjustments to compensate for some readings. If it can do so, it'll then turn off the Check Engine Light. If the problem can't be resolved then the light will remain on and you should get your vehicle looked at. Your friendly and knowledgeable pros at Honest-1 Auto Care will plug a scanner into the on-board diagnostic port and read the trouble code stored in the computer. The trouble code will give the technician a starting place as he diagnoses the cause of the problem.